Prominent & Leading Manufacturer from Mumbai, we offer linseed oil 3.0%w/w diclofenac diethylamine 1.16%w/w methyl salicylate 10.0%w/w menthol 5.0%w/w gel and etoricoxib tablets. 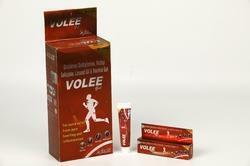 It is used to relieve pain associated with recent muscle or joint injuries such as sprains, strains, or sports injuries. Fastace Gel may also be used for purposes not listed here. Fastace Gel may also cause side-effects not listed here. 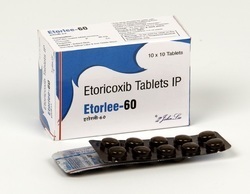 Etoricoxib is used for pain relief. It relieves pain and inflammation in conditions like rheumatoid arthritis, ankylosing spondylitis, and osteoarthritis. Flu-like symptoms, Indigestion, Stomach pain, Diarrhoea, Peripheral edema, Flatulence.